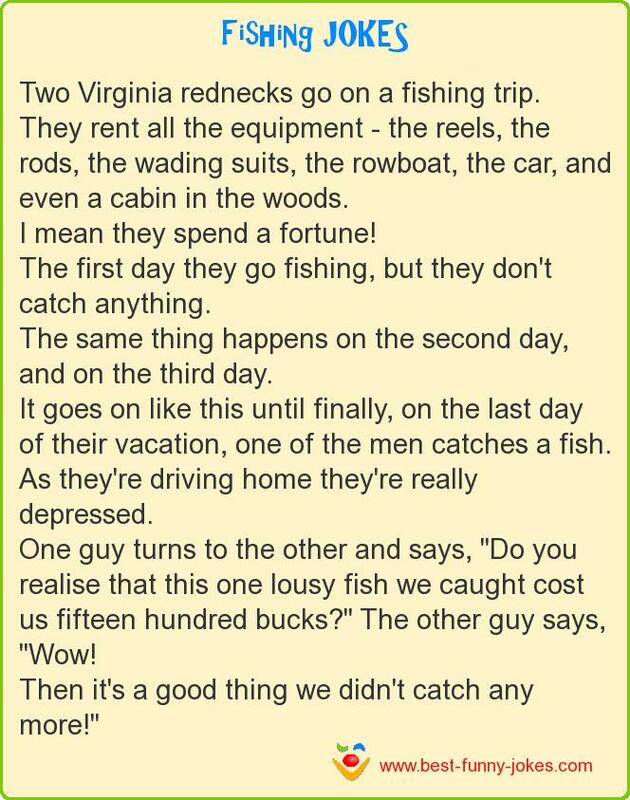 Two Virginia rednecks go on a fishing trip. They rent all the equipment - the reels, the rods, the wading suits, the rowboat, the car, and even a cabin in the woods. I mean they spend a fortune! The first day they go fishing, but they don't catch anything. As they're driving home they're really depressed. One guy turns to the other and says, "Do you realise that this one lousy fish we caught cost us fifteen hundred bucks?" The other guy says, "Wow! Then it's a good thing we didn't catch any more!"